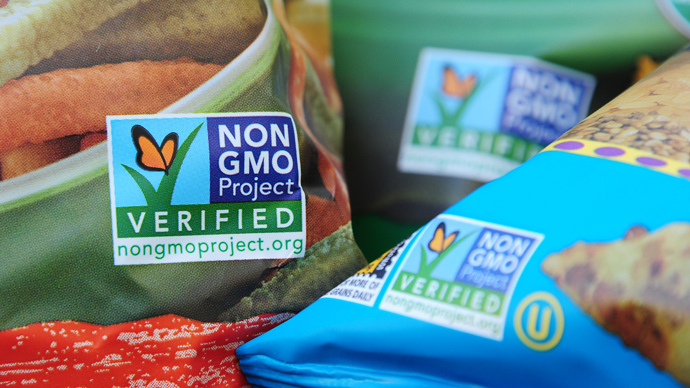 A new bill introduced in Congress looks to ban states from implementing their own labeling laws when it comes to food containing genetically engineered ingredients. 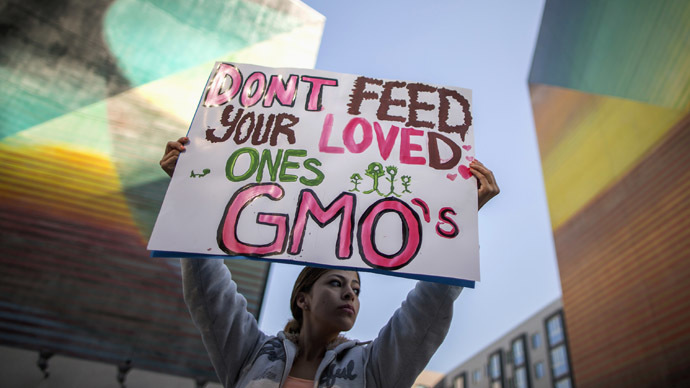 According to Reuters, US Rep. Mike Pompeo (R-Kan.) introduced the legislation on Wednesday, which is intended to head off bills in about 24 states that would require companies to inform customers when their food is produced using genetically modified organisms (GMOs). Titled the “Safe and Accurate Food Labeling Act,” the proposal would forbid states from enacting such proposals. "We've got a number of states that are attempting to put together a patchwork quilt of food labeling requirements with respect to genetic modification of foods," Pompeo told Reuters. "That makes it enormously difficult to operate a food system. Some of the campaigns in some of these states aren't really to inform consumers but rather aimed at scaring them. What this bill attempts to do is set a standard." 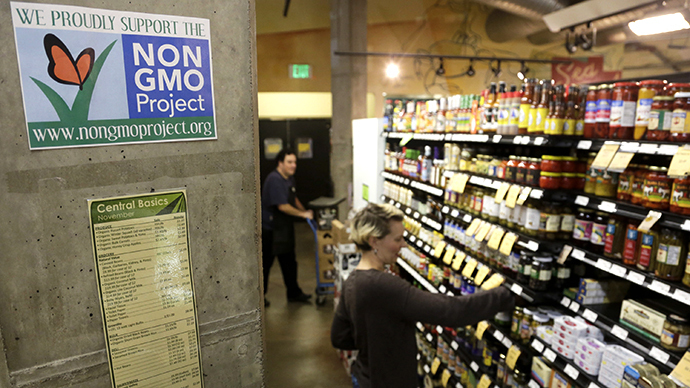 Supporters of GMO labeling argue that modified ingredients pose a threat to human health, and that as a result they should be clearly labeled in the marketplace so that consumers can make informed decisions. In addition to health concerns, they also point to the negative environmental consequences that could arise from widespread GMO use, since millions of acres of farmland and weeds are developing resistances to the pesticides used. 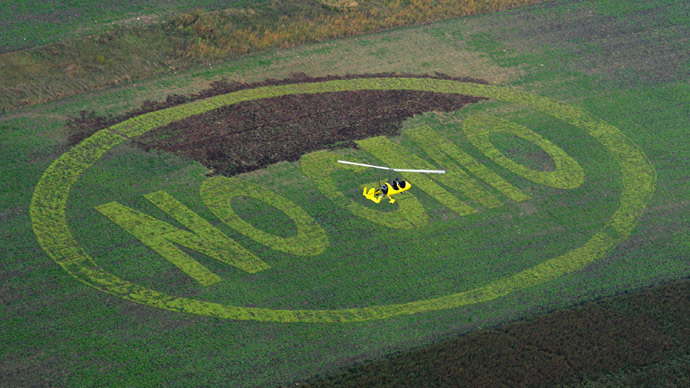 Opponents, however, point to their own studies, showing that GMO crops are safe and therefore do not need to be labeled differently than other products. "It has to date made food safer and more abundant," Pompeo said. "It has been an enormous boon to all of humanity." 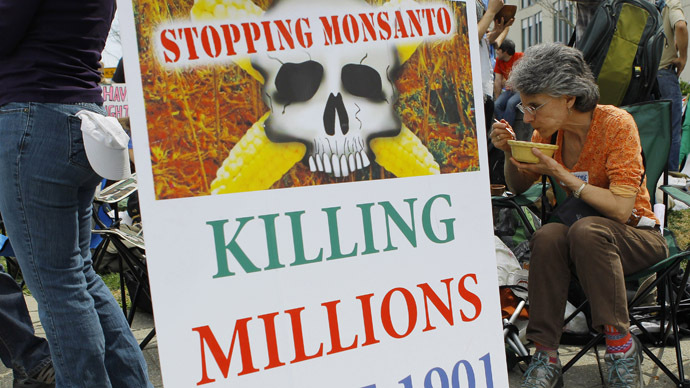 Pompeo’s bill has drawn the ire of the Center for Food Safety advocacy group, which noted his ties to the biotech company Monsanto and the Koch Industries corporation. As RT reported last year, polling around the United States tends to find that a large majority of Americans favor GMO labeling, yet ballot initiatives to do just that keep failing in multiple states – an outcome advocates have blamed on huge amounts of corporate spending intended to move public opinion against the measures. 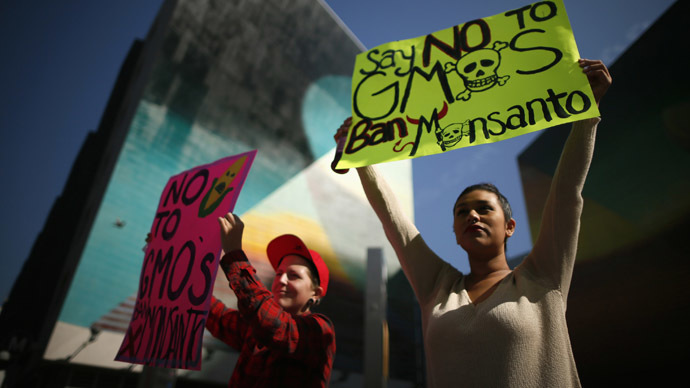 Meanwhile, another GMO flashpoint could be developing in Oregon, where Monsanto and five other agrochemical corporations are spending hundreds of thousands of dollars to oppose a measure that would ban the growth of GMO crops in Jackson County. With the help of these companies, groups opposing the ban have raised nearly $800,000 to promote their view on the bill. Supporters of the ban, on the other hand, have a little more than $100,000 combined.